Shawn McPeters is the founder and owner of Sunset Gates LLC. Sunset Gates LLC is a dedicated Family Owned & Operated Company. As Tempe, Arizona Natives, we understand the harsh elements associated with living in the desert. With generations of experience in the Custom Gates & Fencing Industry, our creations have evolved into the superior products that they are today. With our established quality and dedication, Sunset Gates LLC has satisfied countless Homeowners, HOA’s, Developers, Landscape Architects, General Contractors, and Municipalities. Just as we honor our family, we confidently stand behind our products. From the selection process to the installation process, all team members are dedicated to ensure that each customer’s experience is a pleasurable one. Throughout the years, much has changed here in the Valley of the Sun. However, the simple ingredients that make up our solid foundation remain the same; Family, Integrity, Honor, and Excellence. 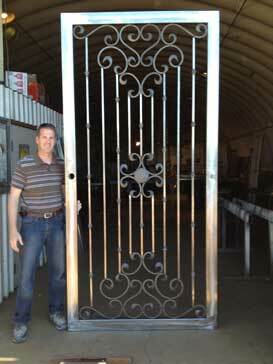 To provide Premium Quality gates, built with Integrity and the Passion to Serve. The best way to enhance the entrance/exit locations of your property. Protect the things you store on your property without losing curb appeal. Create a unique and inviting entrance to your home. Turn your single gate into a double gate. For larger projects visit Sunset Fence Inc. for more information. Great for enclosing and protecting large driveways or walking paths. We also provide custom gates and fencing options for commercial properties. 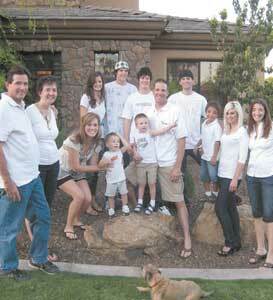 Our family has over 25 years of experience designing and installing gates and fencing in the The Valley of the Sun. We love what we do and it shows in our products. We have successfully installed over 25,000 gates and we pride ourselves in providing the best customer service in The Valley. We provide our customers with premium quality products and premium customer care. Our fabrication and instillation methods have evolved to stand the test of time. Whether you’re in the market for a new gate or just want to repair an existing gate, we are here to help! From the selection process to the installation process, all team members are dedicated to ensure that each experience is a pleasurable one.